Code is powerful. But it doesn't mean anything if you can't get your tools set up. 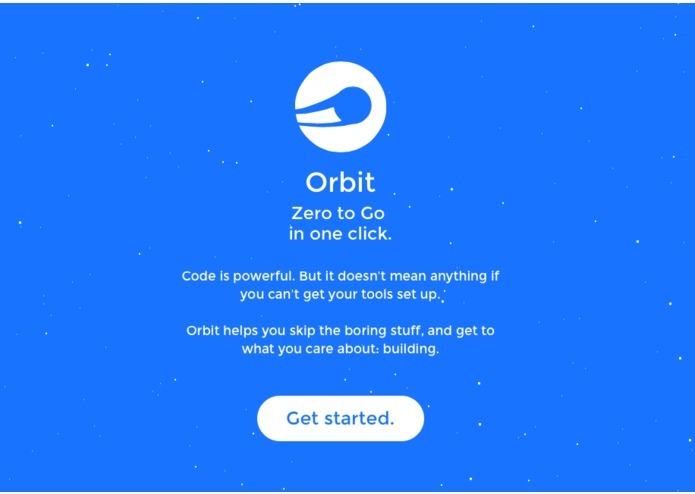 Orbit helps you skip the boring stuff, and get to what you care about: building. Orbit lets beginning programmers skip the wait of installing dependencies and setting up their development environment when learning new languages. Drag and drop your development folder into Orbit, and it will be automatically synced with a private server that has all your dependencies already installed. Note: we are all students and would love to be considered for the student prize.